Tripp Lite's SMART1000RM1U intelligent, line interactive rack / tower uninterruptible power supply prevents data loss, downtime and equipment damage due to power outages, voltage fluctuations and transient surges. This unit requires only one rack space (1U) in a standard rack enclosure, with included accessories for upright tower placement. Large internal batteries offer 25 minutes half load runtime and 10 minutes at full load. Maintains regulated 120V nominal output without using battery power during brownouts and overvoltages from 83 to 147V. 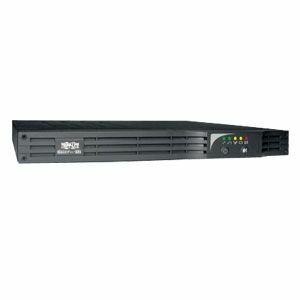 1000VA / 640 watt power handling capability and full time sine wave output offers guaranteed compatibility with networking, telecom and other sensitive electronic applications. A total of 6 outlets arranged in 2 load banks are individually controllable via software interface to reboot select equipment on demand or automatically shed less significant loads to extend battery runtime for more critical equipment. 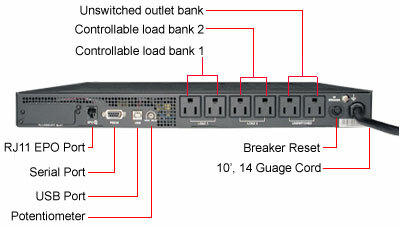 Remote monitoring of the UPS is supported via built-in USB and DB9 monitoring ports. 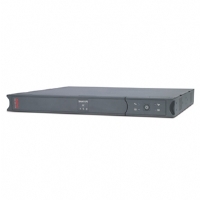 PowerAlert UPS monitoring and unattended shutdown software with complete cabling are included. A built-in accessory slot supports SNMP with optional SNMPWEBCARD adapter. Emergency Power Off (EPO) interface offers option for instantaneous power-off of UPS and connected equipment in the case of fire or emergency situation. Multifunction audible alarms and set of 5 front panel LEDs offer at-a-glance notification of UPS and line power status. Tripp Lite offers a $250,000 connected equipment insurance (USA & Canada only).